Join Voice Over Expert Enda Caldwell in his debut lecture “Working Abroad as a Voice Over Talent”. Originally from Ireland, Enda calls Monaco home and has been working outside of Ireland for a couple of years on the radio and as a voice over talent. Share in Enda’s voice over journey and learn how you can adapt to working out-of-country. Expect more to come from Enda Caldwell in the future! This week, Voices.com is pleased to present Enda Caldwell. Enda Caldwell: Hi. It’s Enda Caldwell and this is Voices.com. 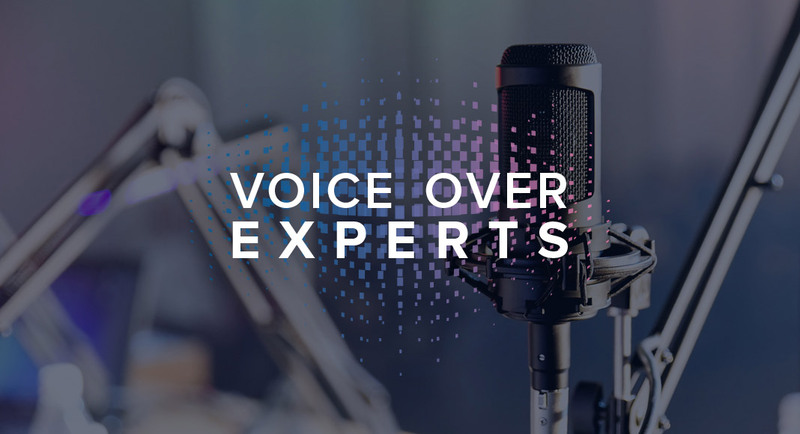 You’re very welcome to this very Irish edition of the Voiceover Experts podcast. Well, first of all, I’ll make no excuses for the fact that this is a very echoey room that I’m recording it in due to the fact that it’s just a temporary accommodation, you know. I’m just passing through from a place called Seborga in Italy. I would urge you to Google it. It’s a very interesting place which you should visit if you ever get the chance. Well, I really did and I became very comfortable with the sound of my own voice and not nervous at all to listen back to my rather, Aled Jones choirboy type of sounding voice at that time. So, it became a bit of fun and something I would do as a hobby and when my friends would come around or my cousins and that we’d play these games of recording people reading news and making fake commercials and funny things, just into a normal tape recorder. And I listened to the guys on the radio. They seemed very expressive. I seem to relate to them and there was one DJ, he’s from New Zealand and his name is Pat Courtney. He has to take some credit and the voiceover that I would thank and the production genius who inspired me was Tony Allan. So those guys and Chris Cary for starting Radio Nova back in Dublin in the 80s. I’ve got to thank him because without him and his excellent, you know, commitment to quality then, I wouldn’t have heard all this great radio. I would have been stuck listening to RTE reading out the the Angelus, you know. Then, Atlantic 252 which was a huge international project opened 12 or 15 miles from my parents’ home and that was a little ditty bitty town called, Trim. And I went over and I met some of my radio heroes like Paul (Cavanagh) and other people who were involved in the management and setting up and presentation of this big, wonderful CHR Radio station which was basically, to all intents and purposes, the European version of Z100 New York, okay. Now, you get me. Now, we had Pirate Radio stations still spreading up as well and by the time I got to college around 18, I met a fella by the name of Tony Gallagher among others and John Gartland. And these guys were running little pirates from backyard and sheds and from their bedrooms and old sorts of weird and clandestine places. I would be obviously offering my services to voice ads which you would know as spots in the States and commercials and all that kind of thing and doing the imaging for them. So, I got involved in that and just was really fueled on by being involved in the Pirates and it was all a little bit hush-hush, you shouldn’t really be doing it. Then local radio, I got involved in that and that kind of became a career and a job for me and I did a lot of production work as Head of Production and did a bit of experience of tip by (indiscernible) stations like that. And then working all around the country in local radio and different regional radio stations. I got to do a lot of different voiceovers that way. So that’s how I really become fueled on by it. Now, you know, I would listen to the War of the Worlds from the CD in the car and think, “Wow, if I can only sound just a little bit like, you know, the way Richard Burton sounds, it would be just awesome, you know. Minds immeasurably superior to us.” You know, and all that kind of thing and it’s I guess – I mean, I’ve heard that he did that just sitting in a hotel room somewhere and it was all done in one take, I believe so. So the myth or the legend or the rumor has it. I would encourage you to have listened to that. Definitely, Richard Burton doing the War of the Worlds, he is definitely one of my top three voiceovers apart from Tony Allan and some of the guys from the States. Obviously like Don LaFontaine and Sean Caldwell and you know, people like that and Spyder Harrison and other friends of mine in the States who sound really, really good. So there is a little bit of that thinking and long may have continue and I hope that it starts to spread head a little bit more because I’d like to see that and some of us, Irish voiceovers getting a little bit more of the pie. Being a voice artist in a foreign country, well, one thing you’re going to need. First stuff, my advice to you is get a portable kit so that you’re always mobile and able to deliver work. You would need something like a laptop or a portable USB mic. My best advice really would be to get a laptop with the Dolby edition on it so you can add it up, stuff like I’m recording right now onto a Dolby. Have an external sound card, a really good high quality one and Edirol UA-25 is the one I use and it’s made by Roland who also make the keyboards. That soft solid (indiscernible) play. But you’ve got things you also need like a portable tripod microphone. You need, you know, basically what the microphone I use is the Rode NT2-A which is also a really good broadcast mic but it’s a really good all-around mic. It’s not quite a Neumann and it’s not Neumann price but it’s a good mic. The Hercules mic standard use is very handy. I’ve got a (KNM spit pan) for when you’ve had too much to drink and a memory stick is very handy, a 4GB. I was only joking as well about that too much to drink but you can do good voiceovers if you have a lot of whiskey. Anyway, a memory stick. Four gig memory stick have got to be enough memory that you can take it form the laptop and if you’re in a country say, like India, as I’ve experienced or Italy where the broadband and wireless coverage is somewhat patchier and you need to go to a McDonald’s to send that or go to a local internet cafe to send off your stuff. I would be armed up with all those things if you were a voiceover in a foreign country. Now, getting back to me and where I’m at now, I’m in Seborga, Italy that’s because I live and work here but I work not too far away in Monaco with Riviera Radio which is the English-speaking radio station on the Riviera for the side of France. So I spent 45 minutes from here. I’m hoping to get a place a little bit closer to it but that’s another story. Now, as we move on with the Voices.com podcast, I mostly say, it would be very interesting to hear from other Irish voice artists all around the world. So if you are, just give us a shout. I’d love to hear from you and you know I’m sure if you just contact Stephanie at Voices.com, she’ll pass on all of my details to you. What’s it like landing in a foreign country, outside of Ireland or England to work as a voiceover? Well, it was interesting. Just little things like obtaining visas and that. In Luxembourg, you have to be interviewed by the police even if you have a letter of police clearance from Ireland. now, I would have thought, you know, where the EU. I mean, if you move from the West Coast to the East Coast of the States, you don’t have to go down to the local cop shop and be interviewed. And the same thing happened to me here in Italy but, I guess they just want to keep tabs on everybody and keep the movement on them. Anyways, if you got a Facebook account, everybody knows what you’re at these days. So I think there’s a few things like that. I mean, if you’re working in places like Luxembourg and I was very lucky in that. I worked for Radio Luxembourg and RTL and they own the huge advertising agency, IP and worked with some great coaches there like Cecile Somers. Thank you very much, Cecile. And we did some commercials which were kind of bi-lingual where you’ve got to have some pronunciation differences. So, you know, you’ve to really have a little bit of the dialect and maybe know how to do the accent of it, you know. Like if you want to say wine names and things like (indiscernible). You know, you need to really change how you deliver and maybe a listen to the way that the French or the Italians or per se the Germans speak. You’ve got to really tune your voice to the sound of how they do it. Not that you necessarily need to speak the language because the words are there in the script but you would certainly need to know how to pronounce them that they sound authentic. I think that’s the important thing to remember. I hope I’ve covered everything on this Voices.com podcast. It’s always a pleasure. You can check out more about me at endacaldwell.com. It’s great to talk to you and I wish you the best of Irish voiceover look and I thank you for tuning into this podcast at Voices.com. Enda Walter Caldwell’s career began on Irish Pirate Radio with Kiss 106 in Dundalk. His international reputation lay in wait as he transitioned to RTE and RTL Group’s Atlantic 252. Then Today FM nationwide across Ireland, Cool FM in Northern Ireland plus he’s been heard on Kiss 100 London and 104.9 XFM London. Enda was a mainstay for Atlantic 252 and was the last presenter on the station on it’s last live day of transmission. In the last few years Enda has worked as the International Marketing Director for Florida-based voiceover artists Sean Caldwell and Spyder Harrison. Enda’s voice has been heard on Sirius Satellite Radio on St. Patrick’s Day 2006 as their Irish Lucky Charms Leprechaun. You may have seen Enda (he’s a moviestar, too) as a movie extra in a number productions including ‘Angela’s Ashes’ as the hospital porter!Â As well as his broadcasting commitments, Enda still has time to indulge himself in his other great passions – keeping fit, canoeing, classic cars, fine wine and learning the Luxembourgish and French languages.â€¨â€¨Enda Caldwell studied voice delivery (Speech and Drama) from a very early age with London College of Music ( A.L.C.M) and has worked in many areas of the voice over spectrum from TV Continuity and imaging to Commercials and Radio imaging through to Cinema trailers. He serves clients such as IP Luxembourg Advertising Agency, TM Studios jingle company and many top Radio stations worldwide, including the #1 Radio station in Dublin – FM104. Enda also records messages on hold, voicemail greetings, voicemail messages, online radio voicetracking and internet sales and is heard on thousands of Radio and TV commercials worldwide. Did you enjoy Enda’s episode? Leave a comment with your thoughts! Looking forward to future episodes. I think one on how to get a VISA to work in another country would be a fascinating episode as well as how to get connected with people and develop a sense of community so being away from home doesn’t necessarily feel like you’re isolated. Enda Caldwell has been in more stations than Thomas The Tank Engine. i would to be a part of your voice over group, i am a voice over talent hoping and awaiting my break in this business. i am new but i do have a voice to be heard.